In most situations thre is only a couple of areas of a drain requiring continual maintenance, root entry and cracks being the most common problems. We are now able to reline sections of drain as required without the need to replace, or reline the whole drain. In older areas like Newtown and Geelong this is a common problem we are now able to solve. 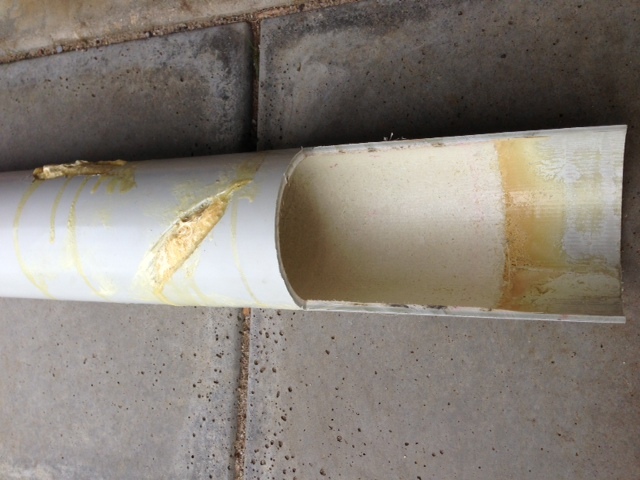 Below is a section of relined drain showing how repairs done.